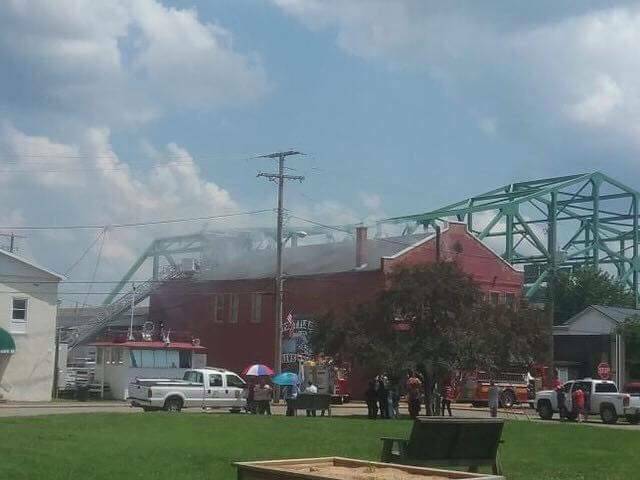 Scenes from the river museum’s fire. 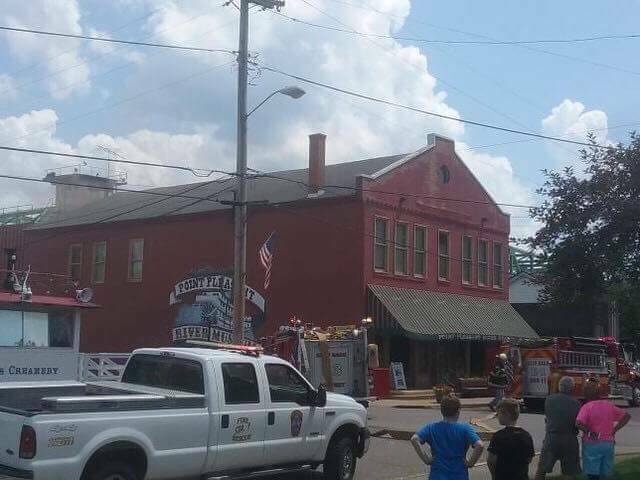 POINT PLEASANT — The Point Pleasant Fire Department (PPFD) received an immense amount of community support during the fire at the Point Pleasant River Museum yesterday. 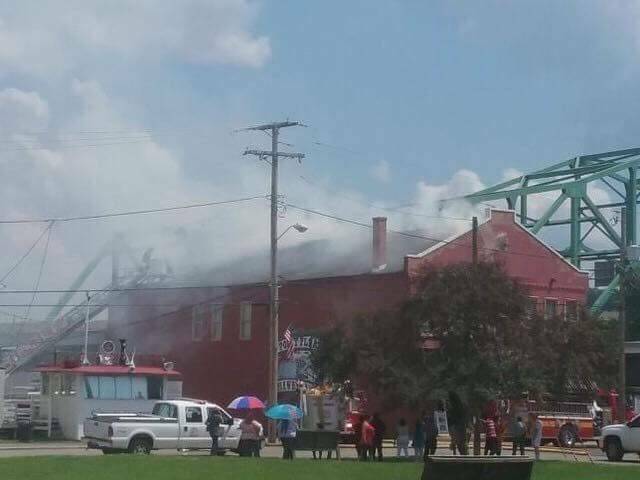 At approximately 2:30 p.m., a call came in reporting a fire at the river museum generating over 100 responders to the scene. The PPFD reported the weather made the situation even more difficult and refreshments were provided as the responders worked. 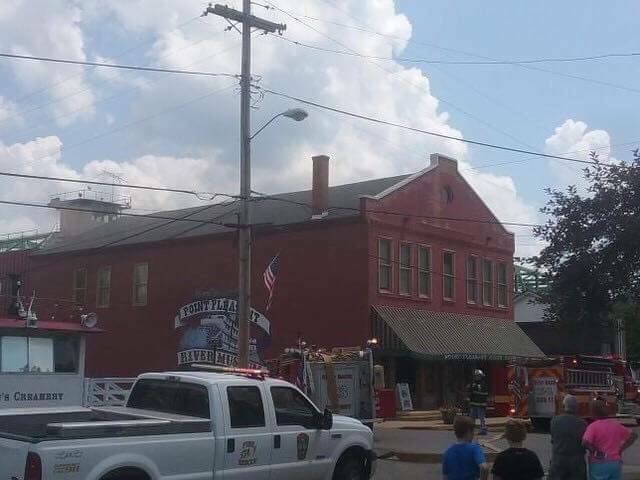 Members of the community also came to help remove items from the river museum. The PPFD extends appreciation to workers from the City of Point Pleasant, Mayor Brian Billings, Mason County Commission members, local marine companies, and many others who gave assistance during the tragic ordeal. No injuries have been reported from the incident and the cause of the fire is still under investigation. The Point Pleasant Register will provide updates as information becomes available. https://www.mydailytribune.com/wp-content/uploads/sites/42/2018/07/web1_FE1E14A7-F794-47F2-8F85-BCE35507AF6C_ne201871164530880-2.jpegScenes from the river museum’s fire. https://www.mydailytribune.com/wp-content/uploads/sites/42/2018/07/web1_F359D977-88B5-4DF5-AEBD-FE236666B0E4_ne201871164535289-2.jpegScenes from the river museum’s fire. https://www.mydailytribune.com/wp-content/uploads/sites/42/2018/07/web1_F7D21CFA-579E-4101-8621-14F3BB99F8BF_ne201871164539395-2.jpegScenes from the river museum’s fire. https://www.mydailytribune.com/wp-content/uploads/sites/42/2018/07/web1_EEB3233F-9E8D-4612-8EF7-BE1D5664574E_ne201871164541769-2.jpegScenes from the river museum’s fire.